Earphones to make you smile. There are many head and earphones on the market, which can make it almost impossible to choose. Especially in the lower to mid range. Some people go for style, some people want better quality sound regardless of looks. The ideal would be stylish great sounding head/ earphones though, right? Before starting Girls n Gadgets, I have to admit, I wasn’t much of a head/ earphone guru and didn’t quite understand why people spent quite so much on them. Over the years, my opinion has changed and is more the other way round now – why buy cheap head/ earphones when you can get a much more enjoyable experience if you pay that little bit extra… You can almost guarantee they’ll look good too! An up and coming brand has just proved me wrong on that front again. It would appear, it really is down to extensive research. Don’t get me wrong, top end head/ earphones are amazing, but if you’re on a budget, we have the range for you! Girls n Gadgets were asked to try out the new House of Marley in-ear phones, a snip at just £20. Not only are they really funky and stylish, the sound quality isn’t bad either. Created by the family of Legend Bob Marley, they wanted to keep them stylish, but not compromise on the sound quality. All products are made with natural and eco-friendly materials and they really are rocking the style! 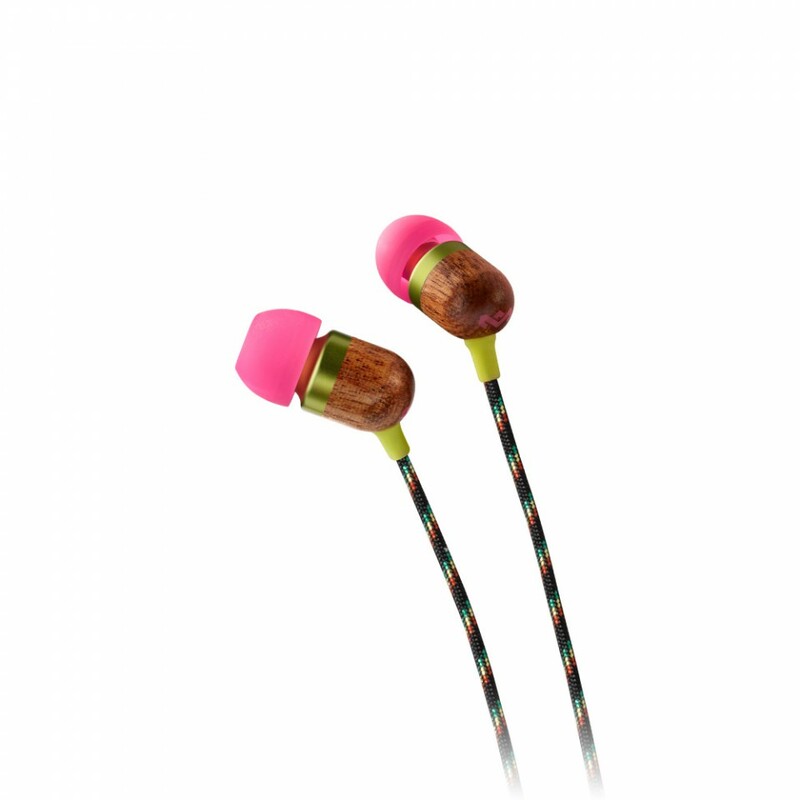 Comparing them against a similar specification earphone, the House of Marley – Smile Jamaica earphones performed really well. Sound quality was better overall. The clarity was good and they handled bass better than the comparable pair. I preferred the design of the Marley’s and felt they looked more expensive than they were, but design is a matter of appearance. An added bonus with these earphones are that they come with a cute little drawstring pouch to keep them in. The Marley range can be found at HMV or on Amazon.co.uk.